Jasper Byrne’s Lone Survivor is a game with special significance for me. Powerful writing, engaging gameplay, beautiful retro art, and a heavy, claustrophobic atmosphere made this game an immersive and emotionally raw experience. 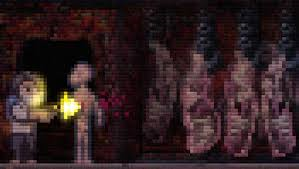 I never played Silent Hill, so in many ways, Lone Survivor was my introduction to the psychological horror genre. 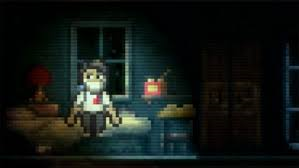 Though I am aware that Lone Survivor draws heavily from the former, I see the game as a unique indie gem. What makes Lone Survivor so special to me is that it powerfully and poignantly centres around the theme of mental health. It is a dark, creative exploration of mental illness and the struggle to survive in a psychological sense. The fight for self-preservation in this ruined, zombie-ridden world acts as a potent and gripping symbol for the struggle for self-care amidst trauma, grief, psychosis and depression. 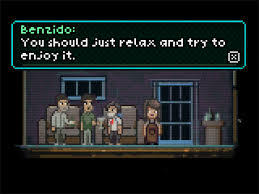 Lone Survivor tackles difficult and distressing issues. It left a bitter taste in my mouth, a sense of sad resolution, and more questions than answers. And that is, in many ways, what an interactive game about mental illness should do. A common estimate is that mental health issues affect 1 in every 4 people. Though this figure has been disputed (some state 1 in 6, others state 1 in 2), the fact remains that mental illness is more common than the general population likes to think. People with mental illness are often marginalised, stereotyped, and seen as inferior. This stigma of the weak, unstable, unemployed criminal is perpetuated in a huge way by the media. This is evident in the common horror trope of the insane asylum with violent, subhuman patient-enemies, as in games like Arkham: Asylum and Outlast. I believe we have a duty to the large number of mentally ill individuals who are so often mocked and forgotten. Our society has a duty to make the reality of mental illness known where ignorance and injustice abounds. This is why holistic, complex, and hard-hitting portrayals of mental health problems like Lone Survivor are precious and to be celebrated. Grief is a universal experience. It binds human beings together. Bereavement is something that few people do not understand. Most people have lost someone that they love. This grief is the foundation of the mental illness which traps the protagonist of Lone Survivor. Grief makes his condition a prison with which we can empathise. Fending desperately to find supplies and fight off zombies, he repeatedly sees visions of a girl in a blue dress. You feel like he knows her, though he can’t remember how. 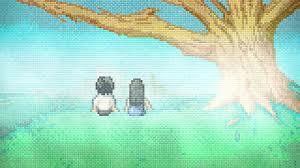 It is at the ending of the game that you realise she is dead. Her death has been the catalyst and the hermeneutic key which unlocks the meaning of everything. You realise that it is grief that has destroyed the protagonist’s mind, trapping him in a horrific post-apocalyptic illusion.You realise that it is grief that fuels his depression and psychosis. You realise that he has been in psychiatric treatment. Everything you have done and faced in the game starts to make sense. And watching the cathartic ending sequence, you realise it could happen to anyone. Mental illness could happen to anyone. It is a frightening, brutal and unforgiving world the protagonist navigates. Flesh-eating zombies, bloody meat sacs and gore plastered on pulsating flesh-walls dominate the scene. The world is full of fear, death, and loneliness. This experience is a dark, disturbing embodiment of how the world can feel to someone suffering with mental illness. A world where no one understands. Where circumstances seem to contrive to make life harder. Where opposition is at every turn, and hope is lost. It might as well be a zombie apocalypse. The protagonist meets the only other ‘normal’ humans at his neighbour Chie’s party. It is a long, surreal sequence of jarring non-sequiturs. When he tries to warn them of the threats outside, all he gets are vacant dismissive remarks and small talk. “You should just relax and try to enjoy it,” Benzido says. They dance very awkwardly to strange music. It all feels whimsical. Leaving aside the question of whether these people are real, this is what social interaction can feel like in the throes of mental illness. Other people can seem like puppets, concerned with strange, superficial and inconsequential things. Conversation can feel random, empty and frustrating. Any effort to sustain relationships can feel pointless. The protagonist perceives himself to be, as the title suggests, alone in the deepest sense. And his battle for survival takes place in isolation. Jasper Byrne dramatises this isolation and social withdrawal common to mental illness in a very creative way. For individuals with mental illness, everyday life can be a very real battle between self-care and self-destruction. To be or not to be? Should I take care of myself or should I let myself waste away? In the game, little choices take on great significance. Should I cook and eat proper food? Should I water the plant outside, make friends with the cat? Should I prioritise food or ammo, should I sleep or take unhealthy stimulants? Should I choose violence or hide in stealth? Should I be hopeful or despairing? Self-care versus self-destruction. Life versus death. This battle is not generally fleshed out in portrayals of mental illness. It is not covered because it is not a glamorous fight. It takes place in everyday acts and small decisions. In every step, thought and breath. It is this realistic exploration of the harrowing slog of self-care that makes Lone Survivor even more insightful and worth celebrating. For many people, life is excruciating. It is an overwhelming burden to get out of bed, to make sure your body is in order, to engage with other people. It can feel like a hostile, hopeless world, where you are truly, painfully alone and barely hanging onto life by the skin of your teeth. I appreciate Jasper Byrne’s Lone Survivor because it is an engaging and stark realisation of these battles. It is a paralysing snapshot into how people struggling with mental illness might experience everyday life. 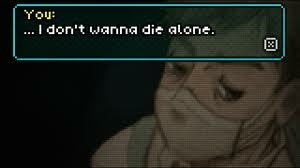 Lone Survivor resonates with me personally. At many points in my life, I have battled with depression. I have felt like a lone survivor in a bleak apocalyptic world, fighting against circumstances and self to maintain a semblance of sanity. So I for one am grateful for Lone Survivor. Thank you, Jasper Bryne, for capturing the loneliness and exhaustion of self-care, and the open-ended, bittersweet catharsis that is surviving an episode of mental illness.